From inception till release, 'Poojai' has been a meticulously planned project that met deadlines bang on time to burst into a 3-hour bout of entertainment for Diwali, as promised. This project of Hari's after the sensational sequel, 'Singam 2' is a masala story packed with action, with Vishal aptly cast for the action subject. Since the beginning, there has hardly been any ambiguity in the movie or its nature and making. And now Hari's work is under the lens for the amount of romance, action, thrill, and other masala that he has served us this Diwali. Vasu is a small time money lender, very much into ruffian business, as a fringe of his profession. He comes across Divya from an affluent family in a misleading train of events, but the two eventually come closer. When Vasu fights a gang in a humanitarian gesture, he falls in the list that they will prey. But further turn of events disclose that Vasu's life story is many layers deeper and complicated than what he shows on the facade. While the villain gang is in search of a nondescript enemy, Vasu gets into deep trouble, as he doubles up as their long lost rival too. 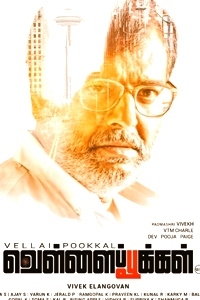 How Vasu happens to be the much wanted rival and how he comes out of the vicious circle is the story of 'Poojai'. Although the story might initially come across as being different, it ultimately ends in the regular masala sort of climax. Almost at every frame, it is predictable as to what will happen next. However the second half is relatively fast paced than the former. There are three significant fight sequences in the film, of which, the one in the factory is planned very innovatively. Art direction has been detailed very well, but all that is failed to be captured in detail in the cinematography. However, Priyan has done a commendable job in the action sequences. Vishal plays Vasu, the tough guy who could be softened only by family sentiments. His build compliments his role as an action hero, yet is also convincing enough from his demeanour and the way he has adapted in all frames, that he is a very family oriented person. Shruthi in Divya's role plays her part well, for all the scenes that involve her. The only places that involve Shruthi are that of romance, which is clean for all audience. Soori as the hero's sidekick does a great job in keeping you in splits every now and then. Radhikaa, Jayaprakash and Sathyaraj play pivotal roles as supporting actors, and predominantly, it is these people that shape the story to its current form. The film has enough songs to classify itself as a proper masala material; but better than the songs, Yuvan scores higher in background score. 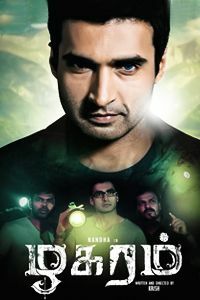 Hari's strong point is action, and he has delivered well in all the action sequences. Fights are innovative and detailed, while being realistic too. Costume design has been set perfectly in place. Choreography takes the lead in the songs, making the number seem less tiresome. Editing by Vijayan and Jai is in place, and this puts the sheer number of actors in an easily understandable picture. To begin with, dubbing should have really been taken care of a little better, starting from the dialogues themselves. Incidence of lipsync is far too little in the movie. The number of songs could have certainly been brought down, especially given that the protagonists go off to dream sequences. The story could have been spread more evenly over all the three hours, than concentrate a lot of it in the climax song. 'Poojai' is a mix of a lot of genres, but they seem disproportionate for the times and taste of this day. However, it is an entertaining three hours of festivity, to chill out on. Most importantly, thanks to Hari for a thoroughbred masala movie after a long time in Kollywood.